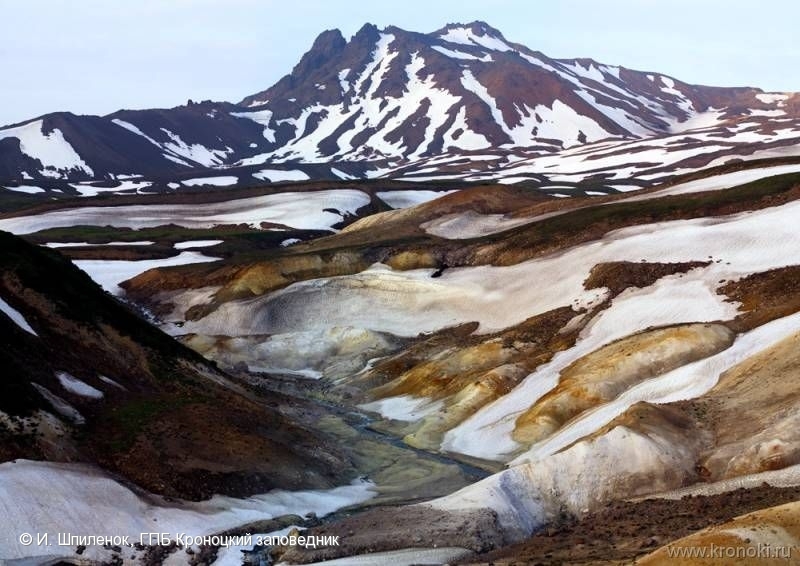 Kikhpinych volcano, Valley of death on foreground. 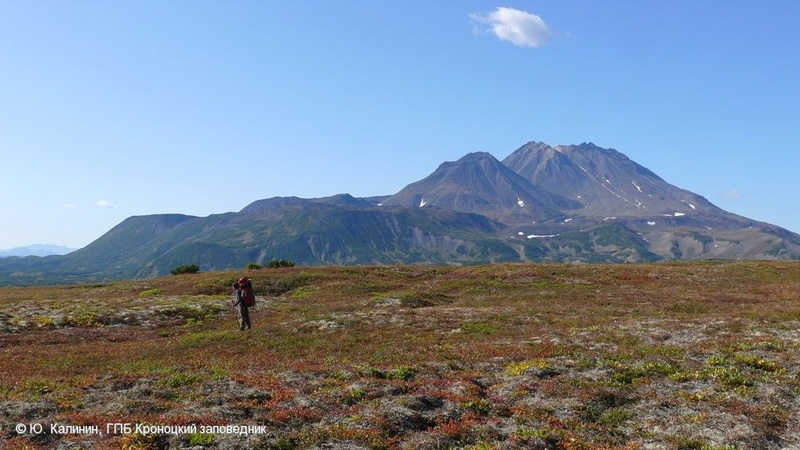 State of Diky Greben volcano in Autumn. Explosive event on December 28, 2013. 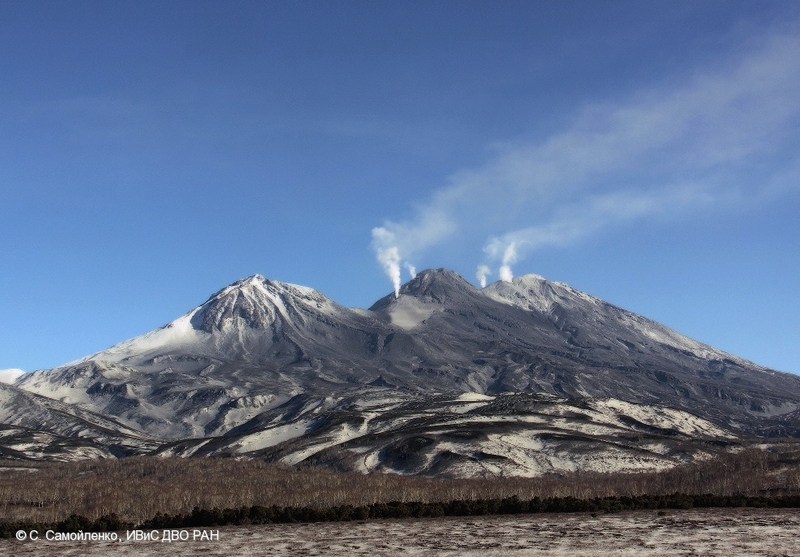 Ash plume rose up to 7 km a.s.l. 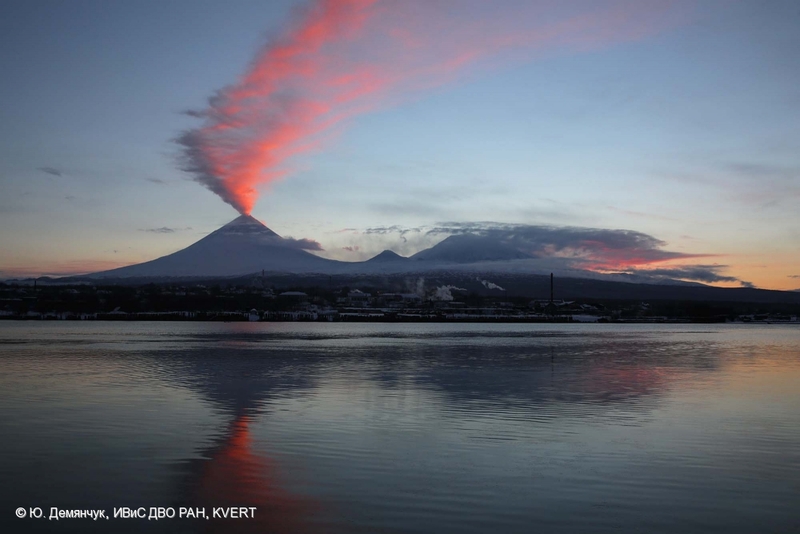 Klyuchevskoy volcano eruption at sunset on December 10, 2013. 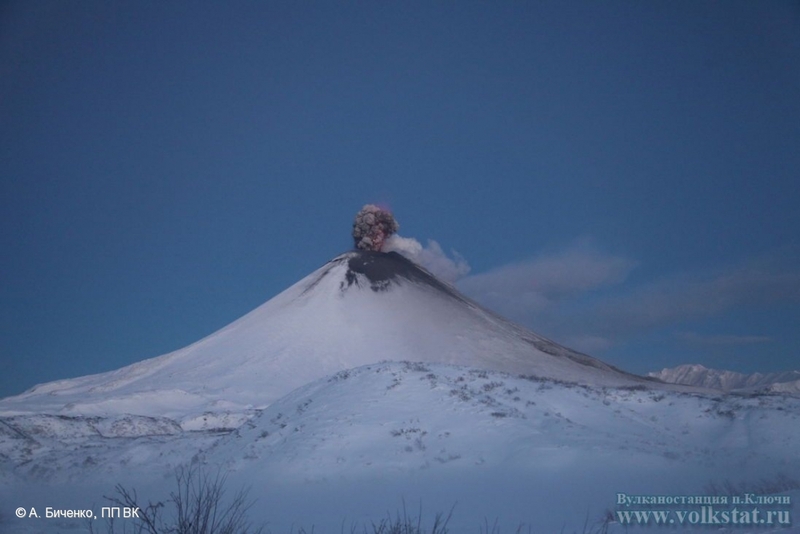 Explosive activity of Klyuchevskoy volcano on December 06, 2013. 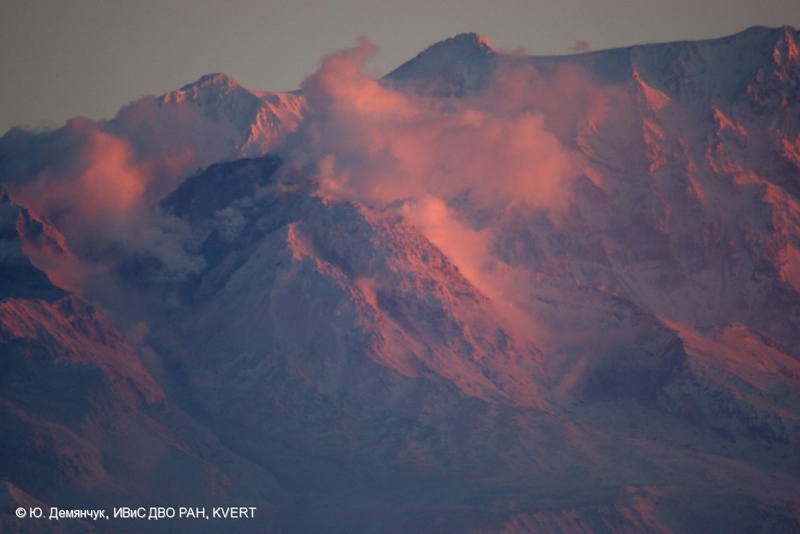 Ash plume extende to the north-east of the volcano. 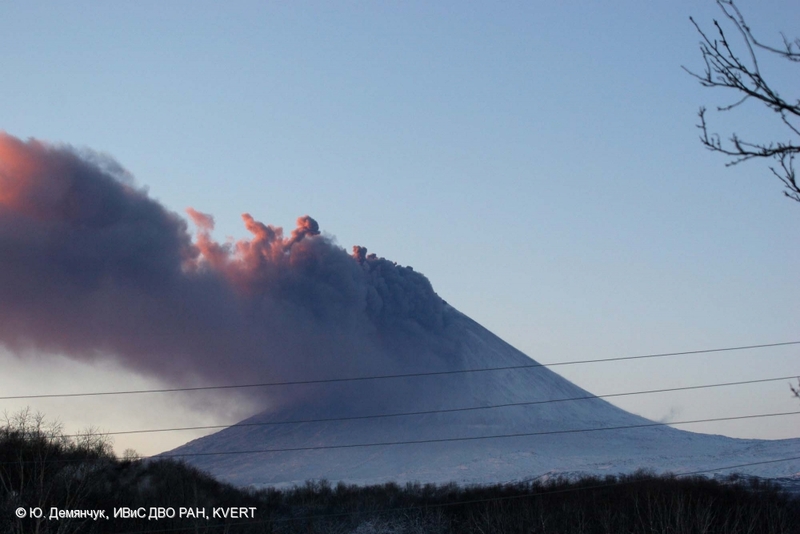 State of new lava dome of Sheveluch volcano on December 06, 2013. 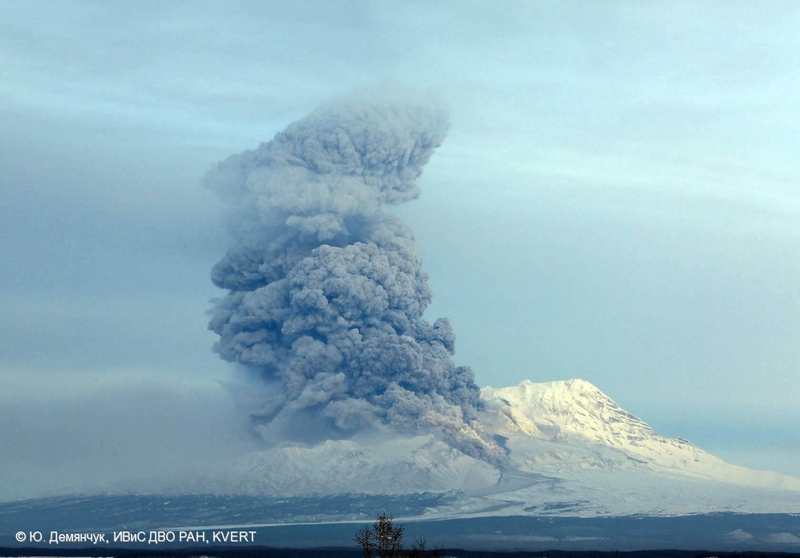 Explosive eruption of Klyuchevskoy volcano on December 06, 2013. 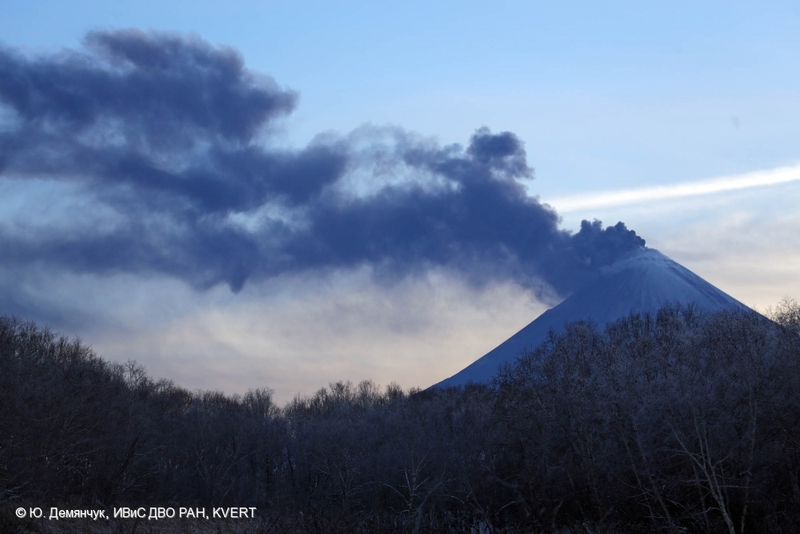 Ash plume extende to the north-east of the volcano. 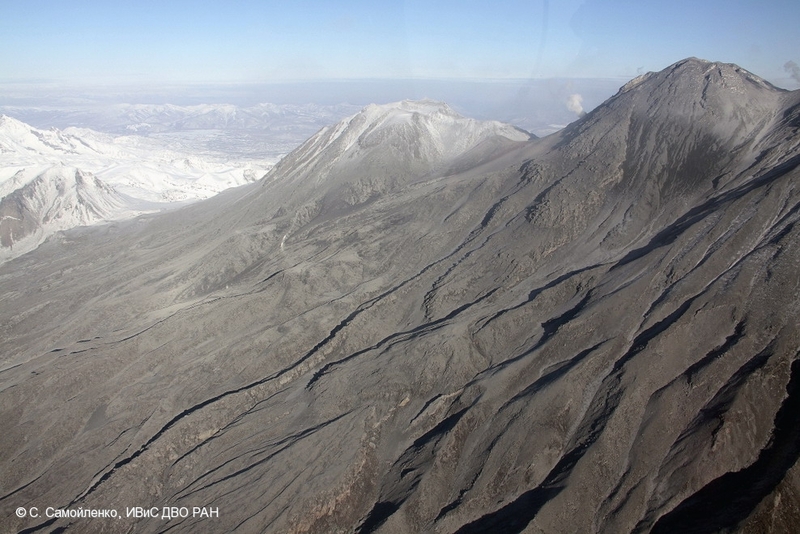 State of Kizimen volcano on December 05, 2013. 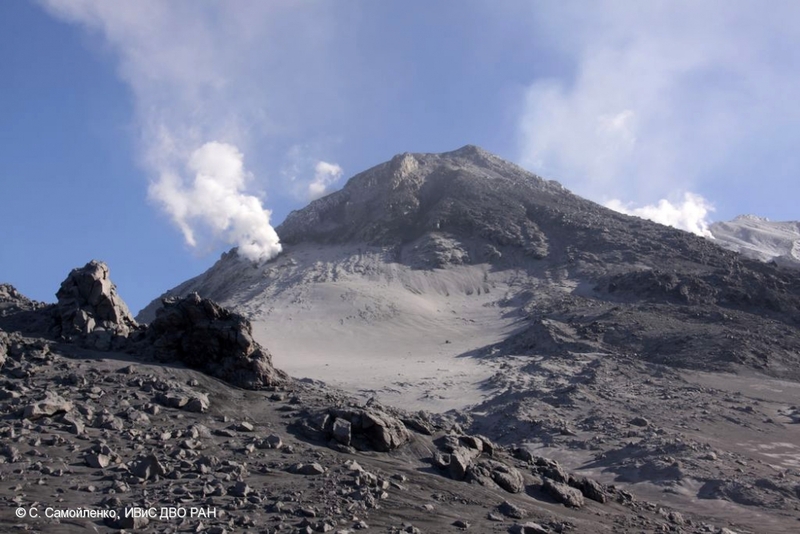 Activity of fumaroles at the summit volcano and fumarole Revuschaya. Videodata of KBGS RAS. 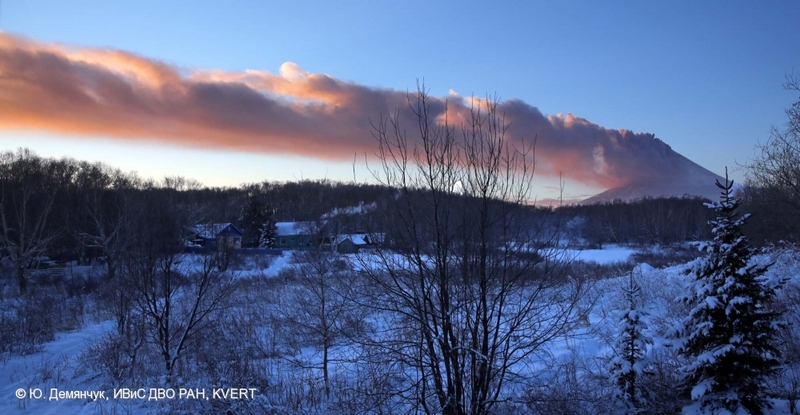 Strong explosive eruption of Sheveluch volcano on December 03, 2013. 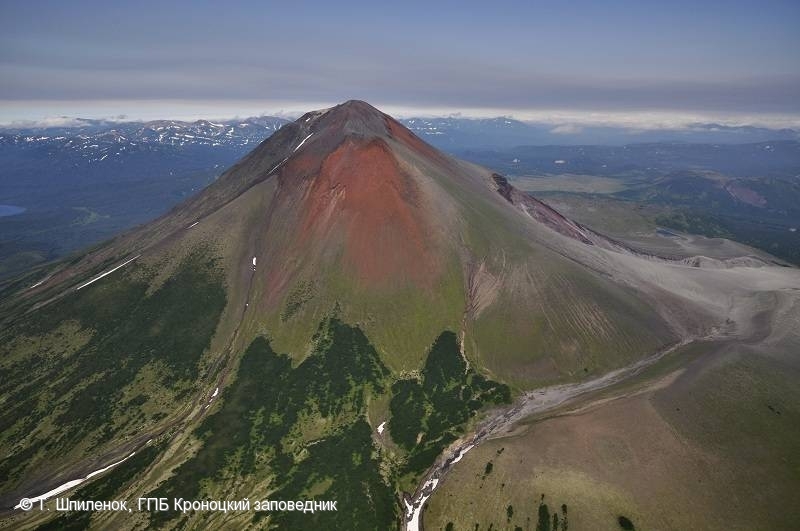 Vulcanian activity of Karymsky volcano on November 30. 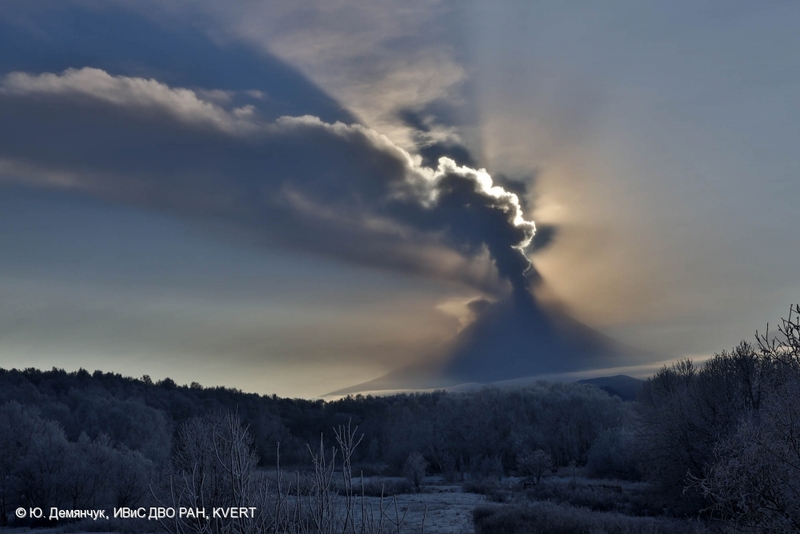 Vulcanian activity of Karymsky volcano on November 30, 2013. 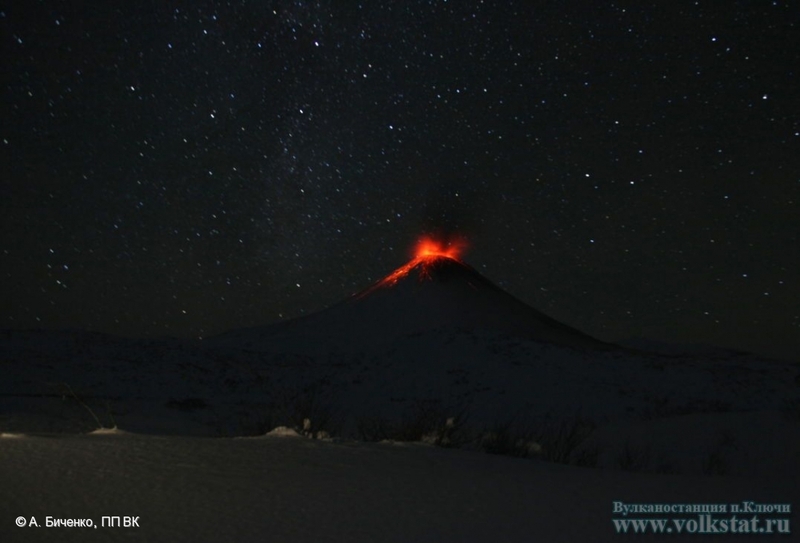 Strombolian activity of Karymsky volcano on November 2013. 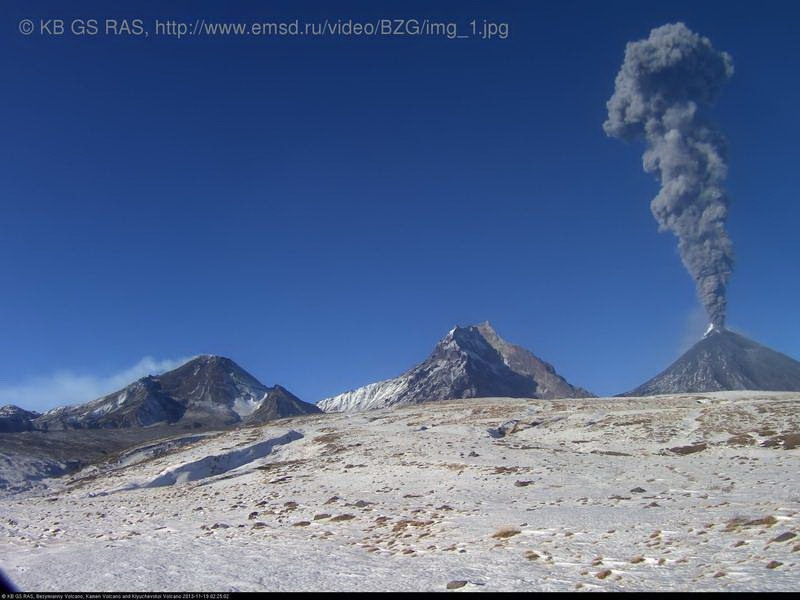 Ash plume of Klyuchevskoy volcano raise > 10 km a.s.l. 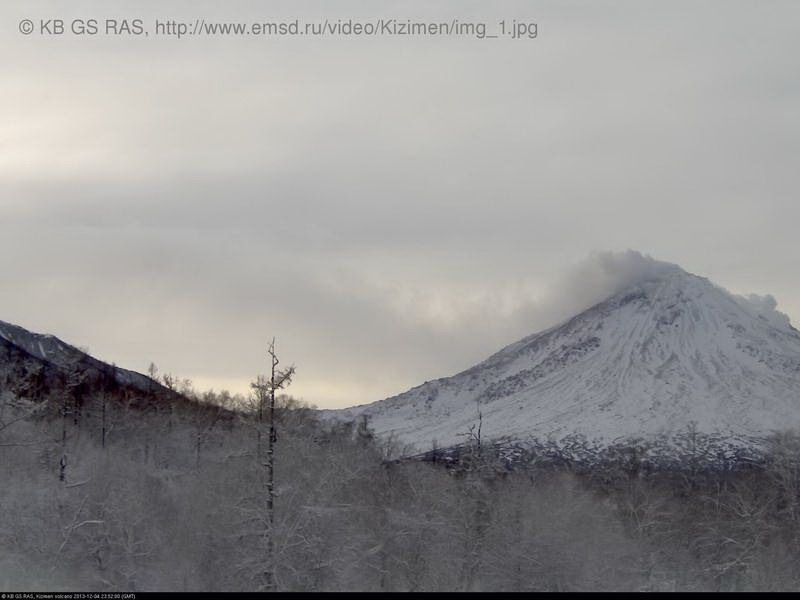 Ash plume is extending to the east of Klyuchevskoy volcano. 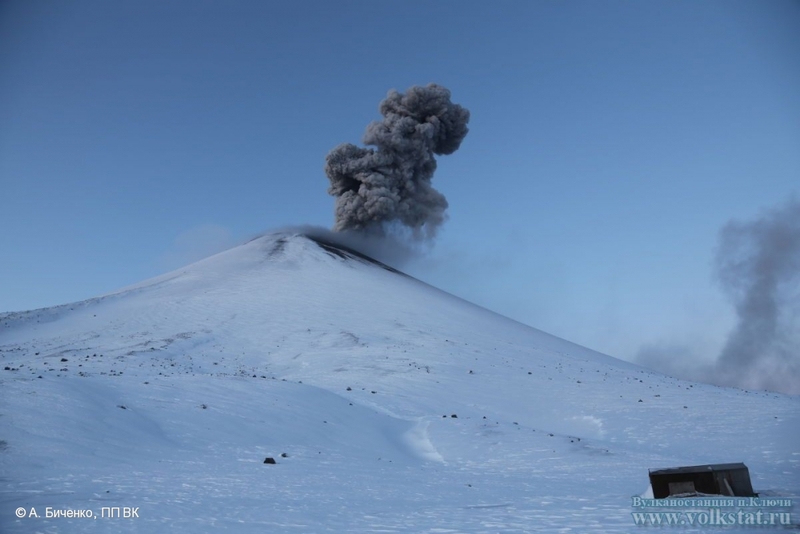 Explosive activity of Klyuchevskoy volcano on November 17, 2013. 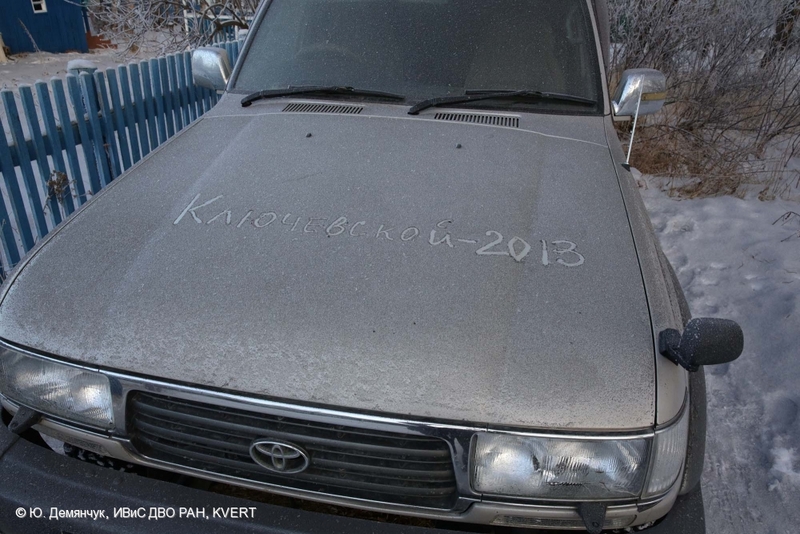 Ashfall at Klyuchi Village, ash of Klyuchevskoy volcano, November 17, 2013. 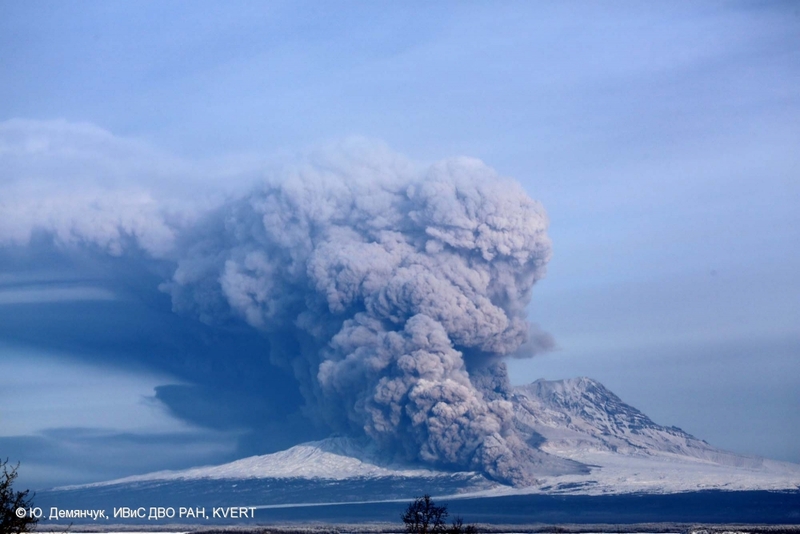 Explosive activity of Klyuchevskoy volcano on November 16, 2013. 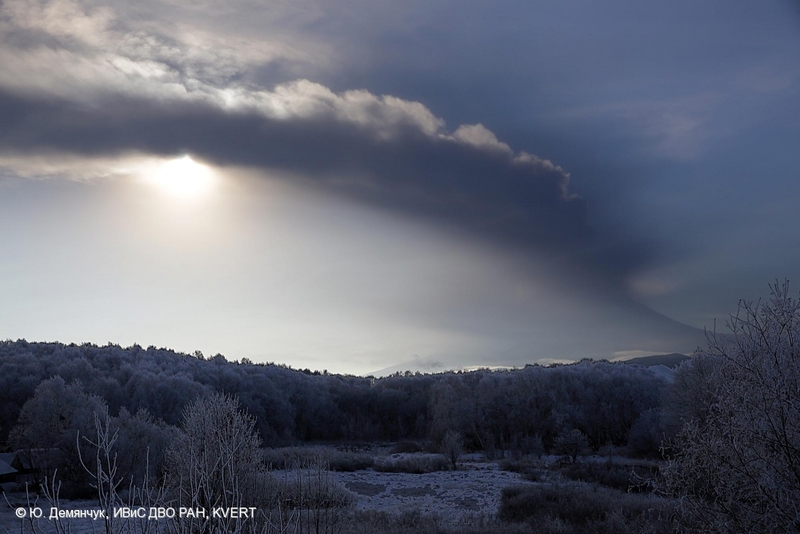 Zhupanovsky volcano flanks covered of ash from the eruption on October 23-24, 2013. 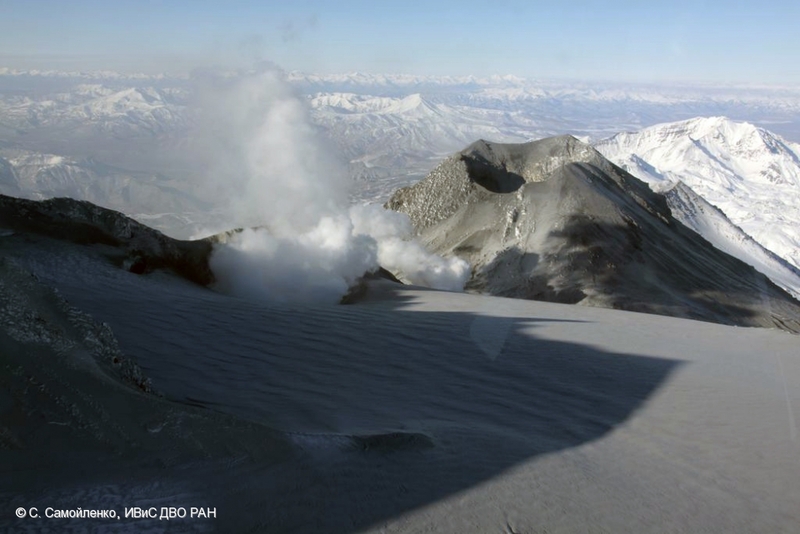 Active crater and fumaroles in the central part of Zhupanovsky volcano after the eruption on October 23-24, 2013. 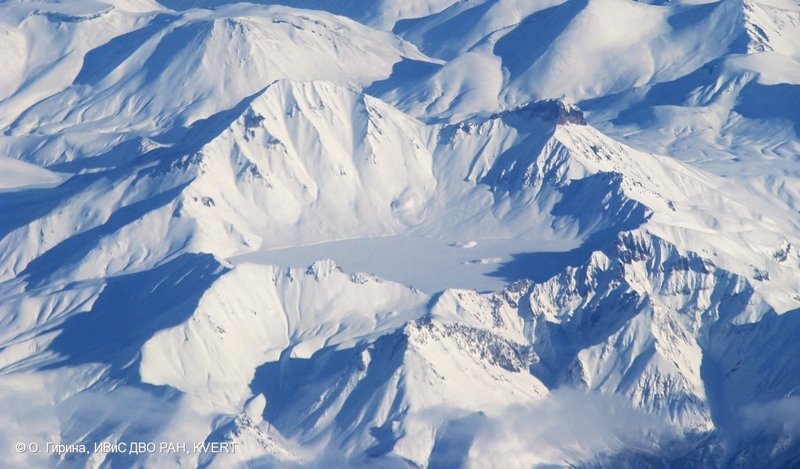 Zhupanovsky volcano after the eruption on October 23-24, 2013.